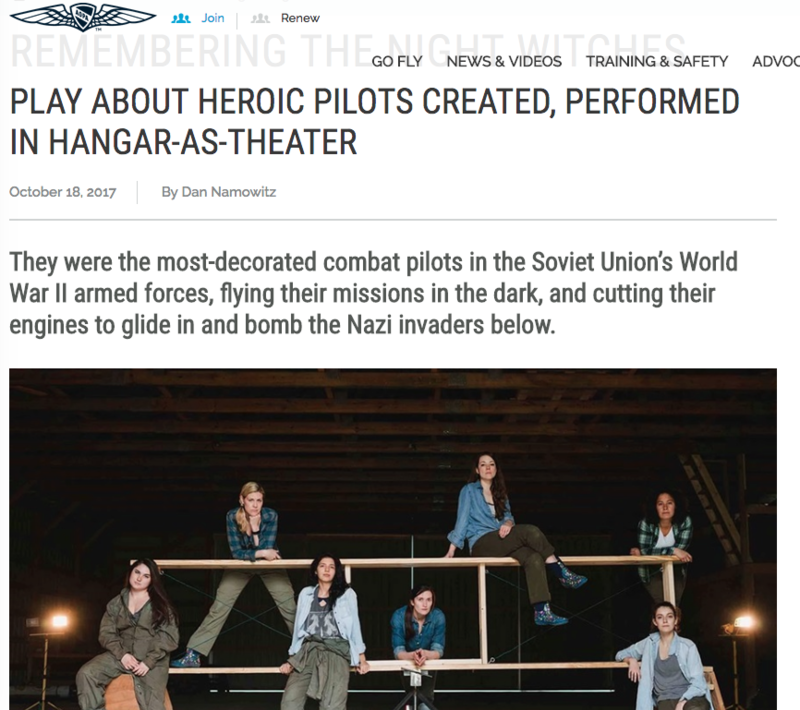 A full cover story in the Agricultural Aviation Summer issue - on our Producer, Elena Kritter, as well as the process of developing Night Witches. 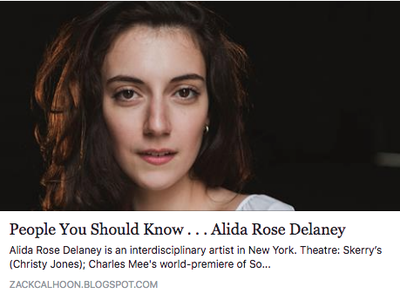 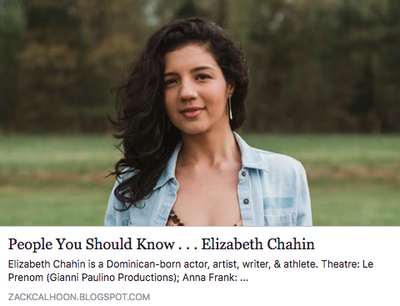 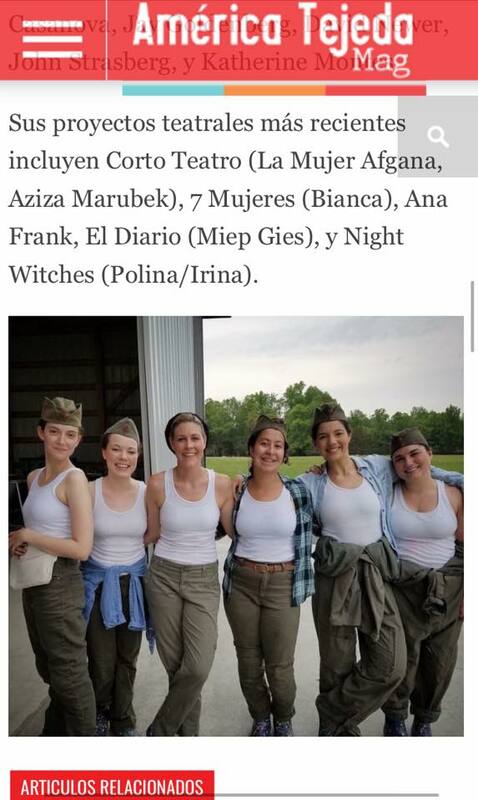 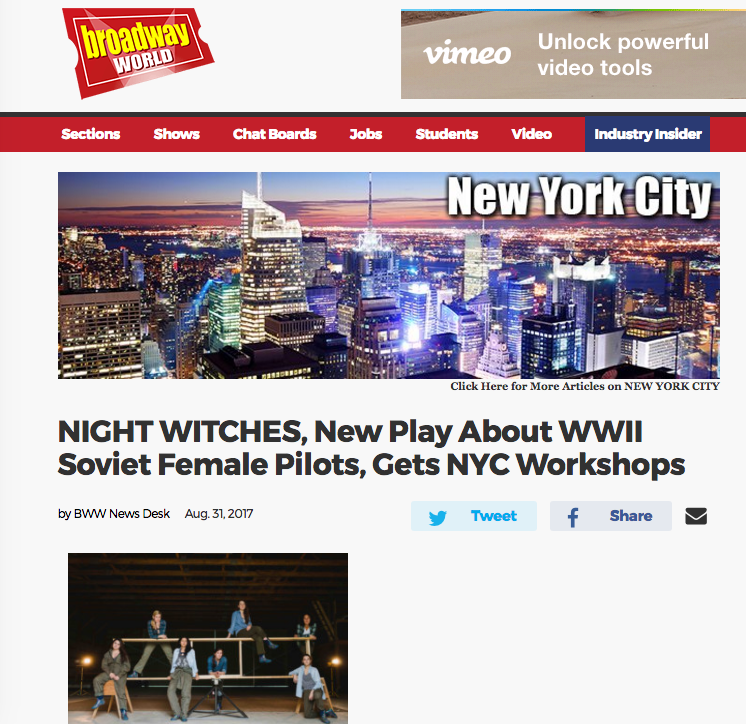 "Dominican Actress stands out abroad" - highlighting our Night Witch, Elizabeth Chahin, with a special shout out to Night Witches. 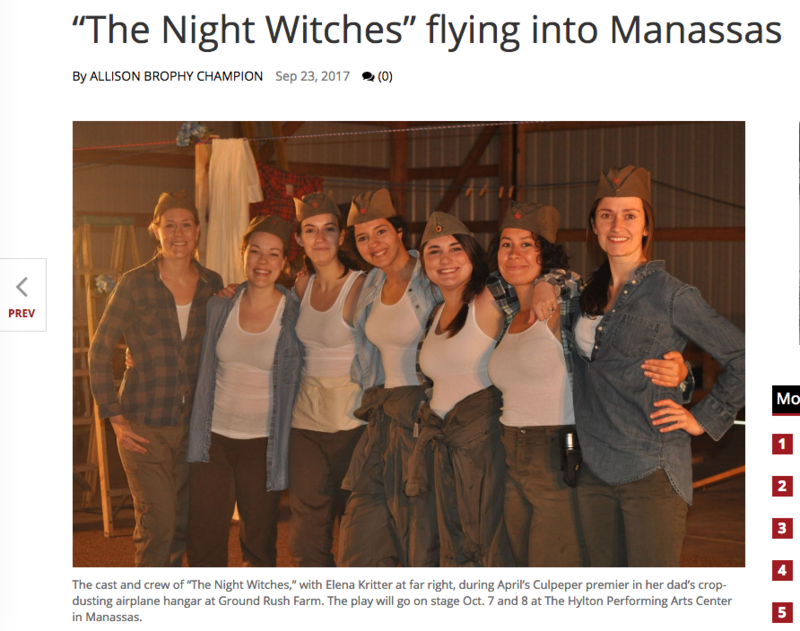 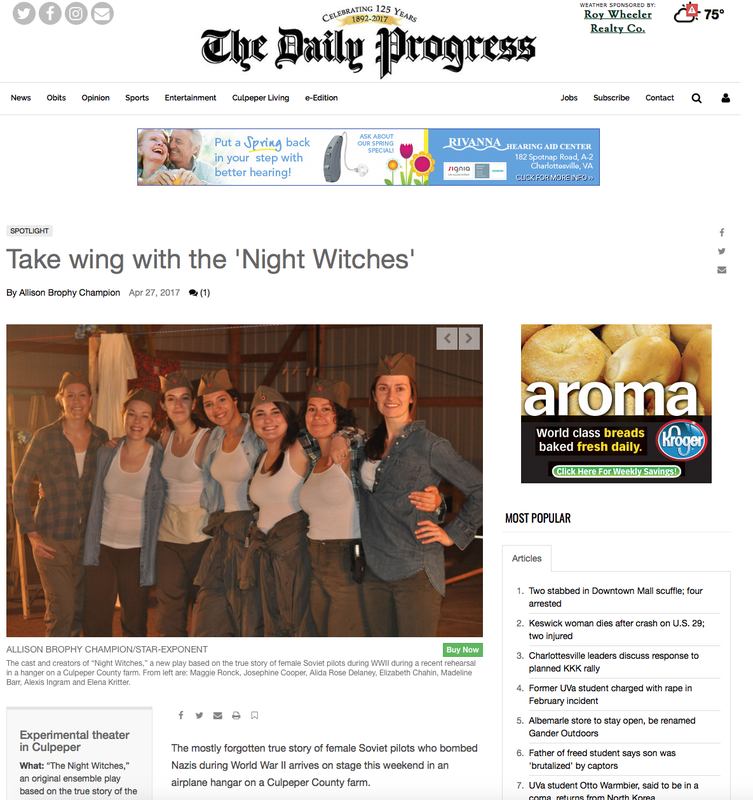 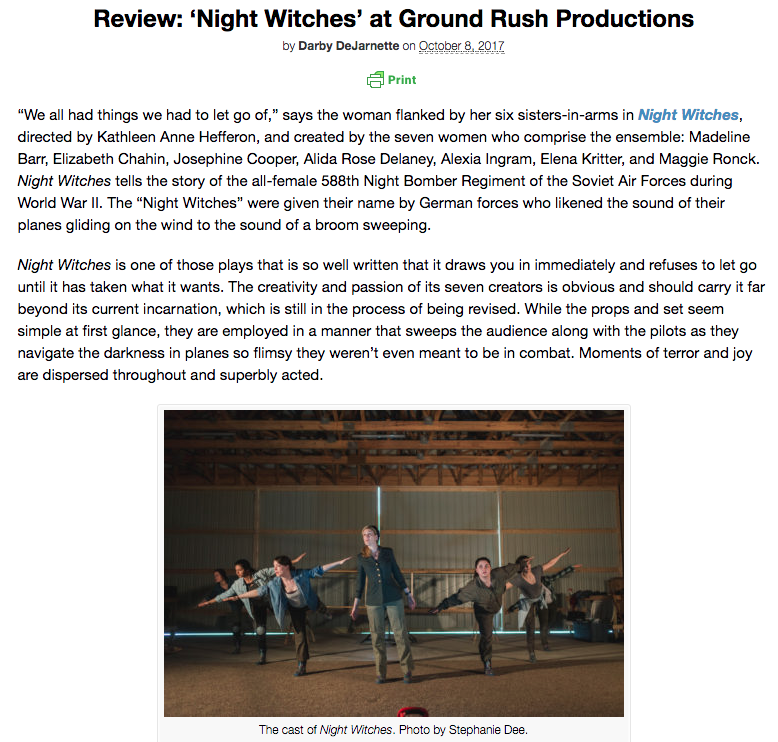 A cover story about our residency at Ground Rush Farm, our process, and why we chose to create a play based off of the Night Witches inspiring accounts.